When you think about Varna what’s the first thing that comes to mind? An affordable getaway in a beautiful, modern resort? 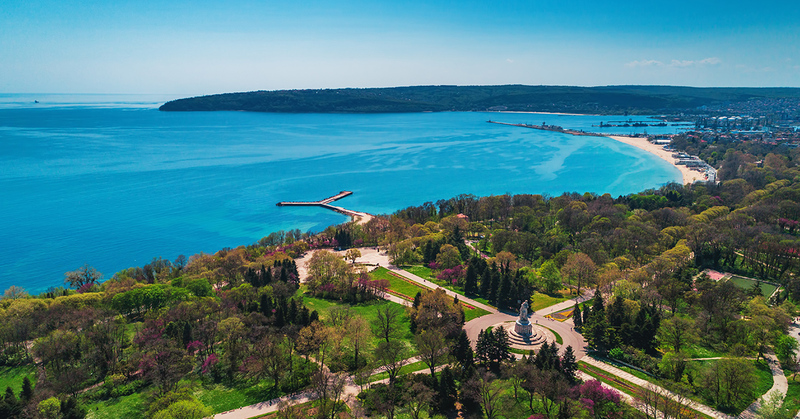 You’re right – Varna is no doubt one of the most beautiful resort cities on the Black Sea coast. It’s the perfect place for a vacation with its beautiful nature, amazing beaches, delicious cuisine, bars, culture and people love it! But did you know that the history of Varna goes all the way back to the prehistoric ages? Varna is a very ancient city and people have lived within its borders from prehistoric times. They say this is the birthplace of the first European civilization, starting in the 5th millennium BC. Thracians inhabited Varna region, Greeks (6th century BC), Romans (1st-3rd century AD) and the early Byzantine Empire (4th-6th century) too, before the birth of the First Bulgarian Kingdom, the coming of Christianity and the introduction of the Cyrillic alphabet. Some 4,600 years before the Common Era, a mysterious civilization emerged on the shores of lakes near the Black Sea, not far from the modern day city of Varna. 4200-4600 BC: Long before Mesopotamia or Egypt and the pyramids, goldsmithing first began on the shores of the Black Sea. 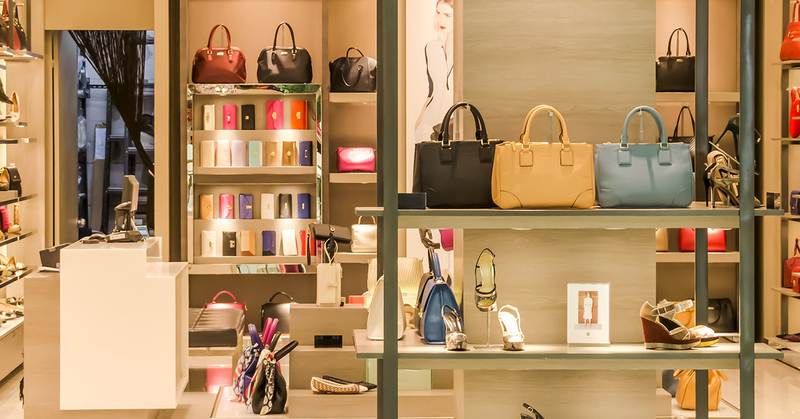 For its time, the culture of Varna was amazingly advanced, both culturally and technologically. 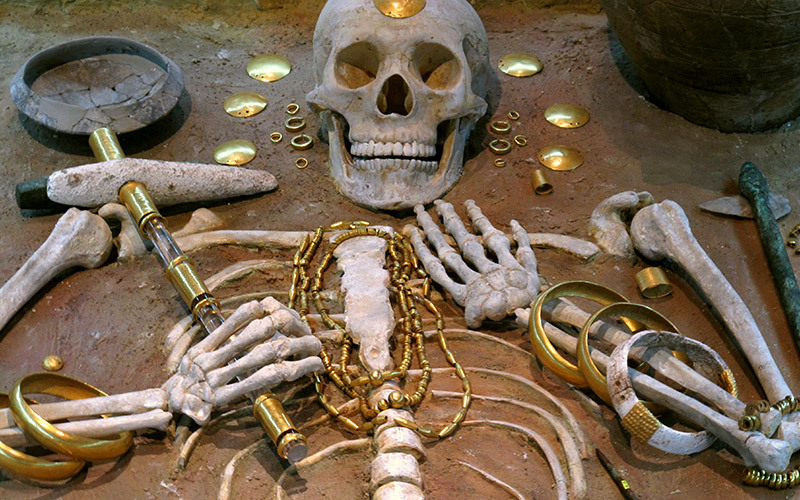 The Necropolis gold treasure is the oldest processed gold in the world dating back to the time of the Chalcolithic (Copper Age) in ancient Varna culture. Archaeologists refer to the Varna Necropolis as the „Prehistoric find of the century” and the „Varna phenomenon”. During an archaeological excavation in 1972, they accidentally discovered an ancient burial site about 4 km from Varna’s centre. The graves were estimated to be from 4200-4600 BC and were proof of a highly structured society here during the Copper Age. 600 BC – 501 BC: During the great period of colonization of ancient shores by the Greeks, men from the city-state of Miletus in Asia Minor, set out for the land of the Thracians. There they founded the city of Odessos, which is where modern-day Varna is positioned. Odessos means ‘’town on water’’. 13th century BC – 7th century AD: The oldest Bulgarian people are the Thracians, who lived in the Varna region from at least the 13th century BC until the 7th century AD. Then, they came together to lay the foundations of the young Bulgarian state. 1st century AD: As the Roman Empire extended all the way to the shores of the Black Sea, in the year 15 AD Odessos became part of the Roman province of Moesia, just above the province of Thrace. 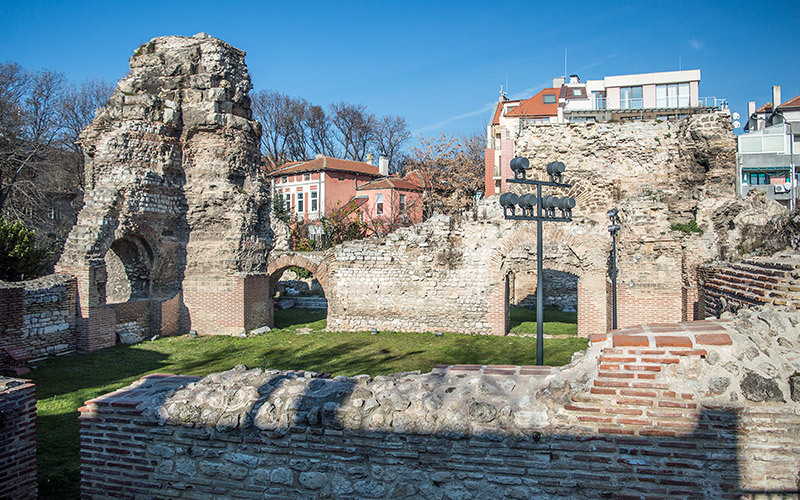 The conquerors built many new fortifications around the city which includes the unique thermal baths that can still be seen in Varna today. The ancient Bath Complex once belonged to the Roman city of Odessus and is one of the largest remaining Roman Bath ruins today (4th in Europe and 1st on the Balkans). 4th century AD: In 313 AD, the Roman emperor Constantine the Great converted to Christianity, making it the official religion of the whole Empire. The first Bulgarians, however, didn’t really agree with abandoning their pagan gods. By 395 the Empire had become ungovernable and was divided between West and East, with the Byzantine Empire centred in Constantinople. 7th century AD: In 681, at a time when the Slavs had already settled in the lands west of the Black Sea, a wave of tribes called Proto-Bulgarians crossed the Danube and founded the first Bulgarian state. 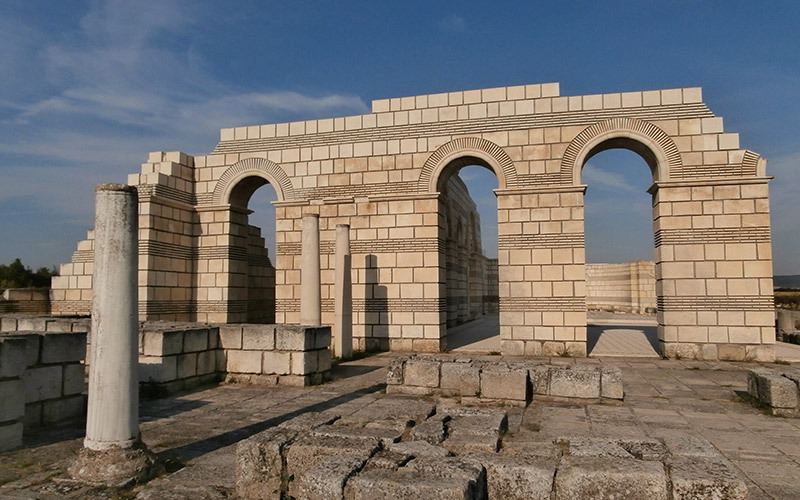 681-893 AD: Pliska was the capital of the First Bulgarian Empire. 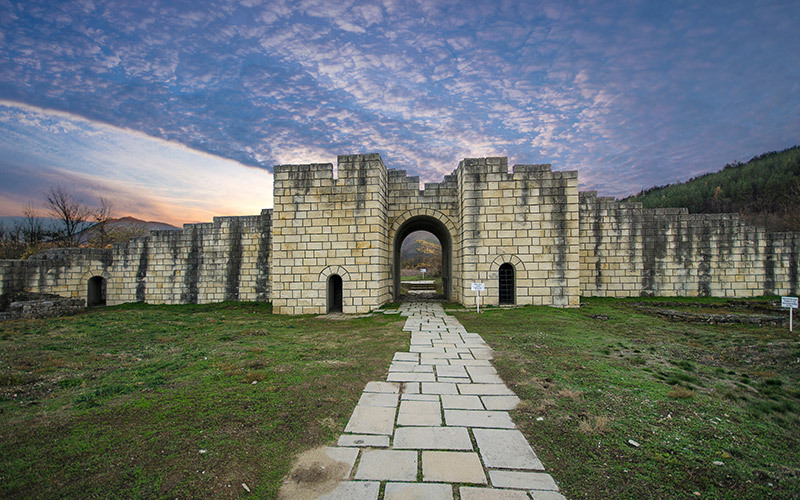 Khan Asparuh, the founder of Bulgaria, chose Pliska as capital because of its strategic geographical location. The long valleys surrounded by hills and rivers were a favoured place. He pledged “Here Bulgaria will stand”. After the great battle with the Byzantine Empire in 681, the Bulgarians won their right to settle on these lands. You can still see the remains of Pliska in the great Basilica complex just 70 km from Varna. 852 AD: The coronation of Boris. By the time of the coronation of Khan Boris I in 852, Preslav had turned into an important strategic military centre. 886 AD: Cyril and Methodius – Founders of the Cyrillic alphabet. Boris gave asylum to some of Cyril and Methodius’ disciples who were fleeing from Moravia. With Boris’s help and material support, the disciples founded centres of Slavic learning at Pliska, Preslav, and Ohrid. Because of their work, the Slavic language replaced Greek in church services and in literary life and became the country’s official language. 889 AD: Boris I left the throne to become a monk, but he retained the right to take an active part in the government of the state. Boris’s eldest son and heir, Vladimir (889–893), abandoned his father’s policy and tried to bring back paganism. For that Boris drove Vladimir from the throne, blinding him and rendering him unfit for rule. He was then replaced by Boris’s third son, who ruled as Simeon the Great. 893-970 AD: The reign of Tsar Simeon and the Golden Century of Bulgaria in Veliki (Great) Preslav. The architectural development of Preslav, as well as all the literary work that developed during the reign of Tsar Simeon (893-927), are the Golden Century in Bulgarian history. He proclaimed Orthodox Christianity an official religion because he saw it as the only way to unite all the tribes in Bulgaria. Though every tribe had its own way of writing, some didn’t have any script at all. The introduction of the Cyrillic alphabet was an excellent unifier. The conversion of the Bulgarians (Paganism to Christianity) during the time of King Boris I is one of the two most significant events in the history of Bulgaria. The second was the creation of the Cyrillic alphabet. Simeon turned the new Bulgarian capital Preslav into a magnificent religious and cultural centre. 814 AD: After Krum died in 814, his son Omurtag negotiated a thirty-year peace treaty. 893 AD: In 893, during the next major war, Simeon I, the Bulgarian emperor, defeated the Byzantines while attempting to form a large Eastern European Empire. 971 AD: In 971 the Byzantine emperor defeated Boris II and captured Preslav, the Bulgarian capital. 1018 AD: By 1018 all of Bulgaria was under Byzantine control. For nearly two centuries, the Byzantines ruled harshly, using taxes and the political power of the church to crush opposition. 1300-1400: By the late 13th century, Varna became a thriving commercial port. The Crusaders fought one of their last losing battles outside the city walls of Varna. 1393:The Ottoman empire captured Varna in 1393 and turned into a northern bastion of their empire. British troops used it as a port during the Crimean War (1853–56), after which Turkey allowed its allies Britain and France to sell their products throughout the Ottoman Empire, making Varna a great trading centre once more. The Battle of Varna took place on 10 November 1444. It’s also called the “Battle of Nations”, as different European Nations took part in it. 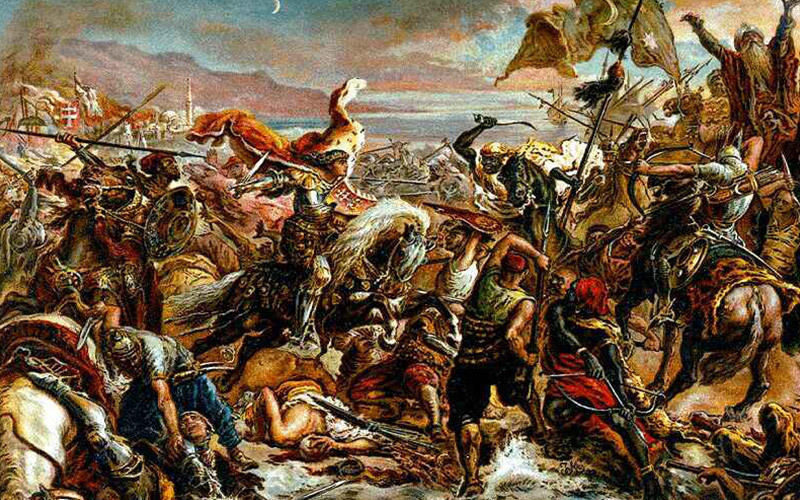 It was the last attempt of Christian Europe to push the Ottomans out of the Balkans. The result of the battle was an Ottoman victory. 1866: In 1866, a railway between Ruse and Varna was built, providing a direct route from the Danube to the Black Sea coast, and Varna became a major shipbuilding centre and port. 1878: Varna was liberated on 27 July 1878 after the Russo-Turkish war of 1877-1878. 1886: Dormition of the Mother of God Cathedral in Varna opened officially on 30 August 1886. 1920: The University of Economics in Varna was founded. It’s one of the oldest higher education institutions in the economic branch of social sciences on the Balkan Peninsula. 1921: Varna became Bulgaria’s first seaside holiday resort. 1961: The Medical University of Varna was established in 1961 and now is a leading institution for quality medical education. 1962: In 1962, the 15th Chess Olympiad (the World Team Championship), was held in Varna. 1968: The Palace of Culture and Sports was built in Varna in 1968. 1969 – 1987: In 1969 and 1987, Varna was the host of the World Rhythmic Gymnastics Championships. 1973: From 30 September to 4 October 1973, the 10th Olympic Congress took place in the Palace of Culture and Sports. 1984: The Festa Dolphinarium (the only one of its kind on the Balkans) opened in Varna on August 19, 1984. 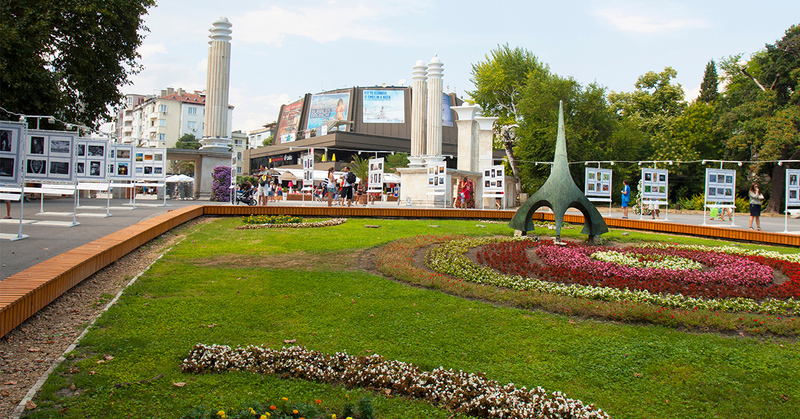 1960-2000: Varna’s Sea Garden was reconstructed, becoming the largest landscaped park on the Balkans and a symbol of Varna. 2016: Varna won the vote of Darik Radio listeners as ‘’Best city to live in’’ and ‘’Protector of History’’. Modern-day Varna is a lively, vibrant place full of entertainment, bars, restaurants, parks, amazing beaches and many cultural activities. 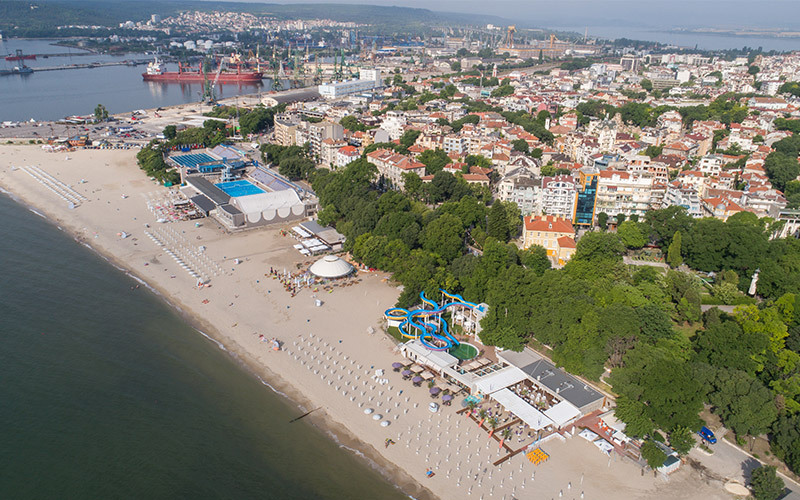 Every year, Varna is growing more as a popular holiday destination both for locals and tourists. Convinced yet just how unique and amazing Varna is? Not only is it the perfect holiday resort city but the rich historical past of the region offers so much to see! Ancient Roman baths, burial sites, fortresses, cave monasteries, medieval churches… and the list goes on! Much of the history of Varna and the region can be seen in the Archeological museum in Varna and the Ethnographic museum. 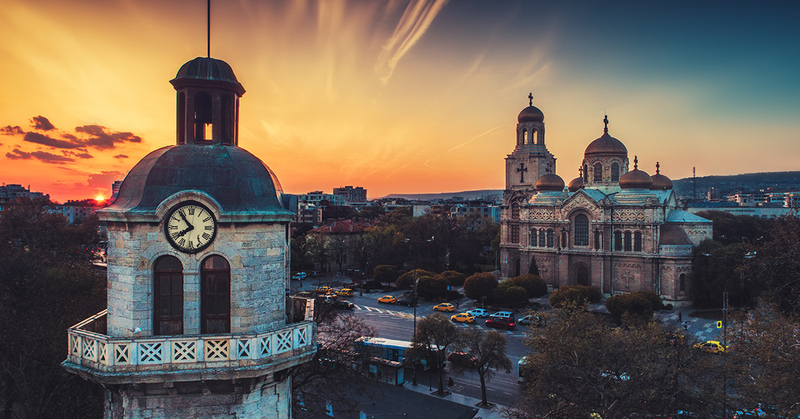 So if you’re looking to combine your next summer holiday with the exploration of a really ancient city, Varna is the place!